This visit is mostly about the food and we promised ourselves not to eat the same thing, or visit the same eating place twice. A promise that is broken almost immediately…..Arrived in Kuala Lumpur late on a Friday night, jumped in a cab and an hour later arrived at our hotel near Bukit Bintang in the centre of the city. The city was absolutely heaving with people out enjoying their weekend. Seemed rude not to joint them so we dumped our bags in the room and immediately headed out into the throng! We had chosen the location well (if not the hotel itself!). Positioned in the middle of one of the best foodie areas in Asia, next to Jalan Alor which is famous for its street food and Chinese seafood restaurants. And one of our prime reasons for starting our trip in KL. 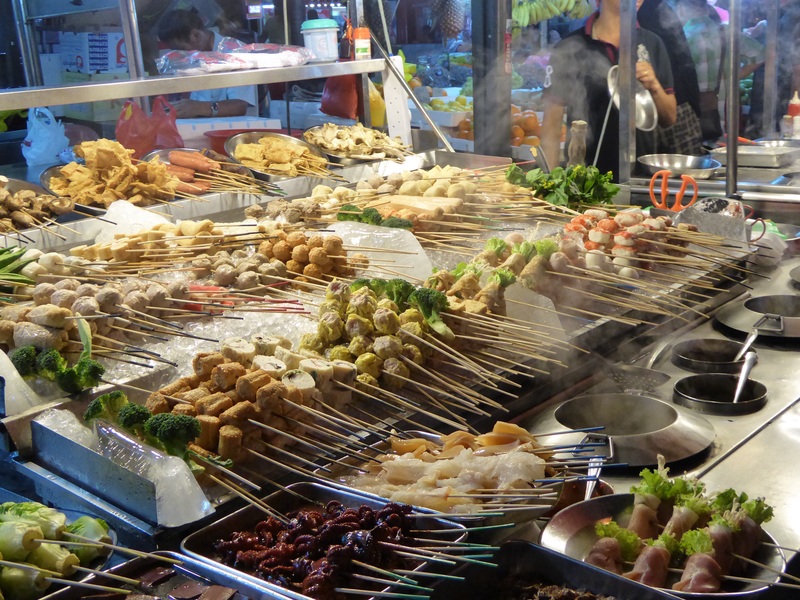 The sights, sounds and smells of Asia are literally right on our doorstep. We have visited KL several times so we are not bothering with many of the usual visitor sights as we have seen them before. This visit is mostly about the food and we promise ourselves not to eat the same thing, or visit the same eating place twice. A promise that is broken almost immediately as we “discover” Din Tai Fung, in the Pavillions shopping mall. This is the most amazing dim sum restaurant we have ever experienced. The xiao chai, steamed pork dumplings with crab roe, were the most amazing taste experience we have had in a long time. A must try if in KL. 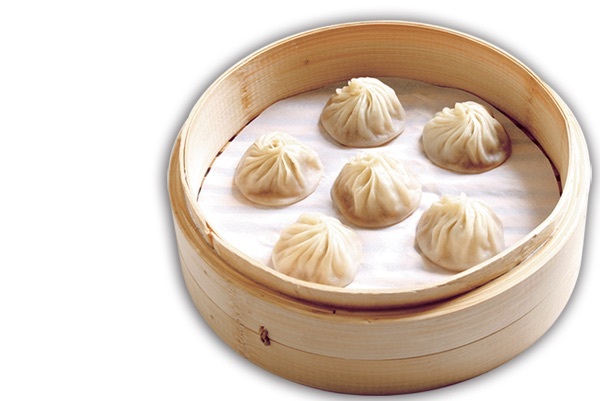 Photo from Din Tai Fung. We were so excited we forgot to take our own photos! 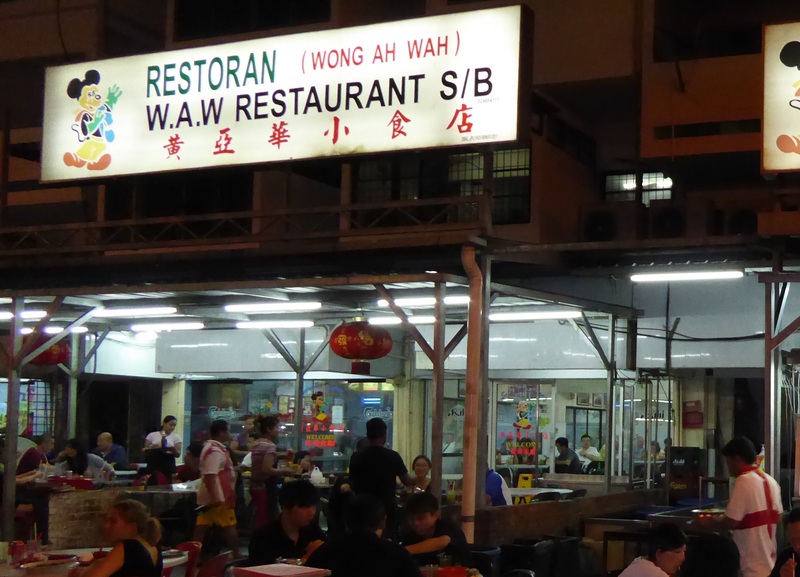 We continue our food exploration of the city including the famous Wong Ah Wah in Jalan Alor were we tried their BBQ stingray and famous chicken wings. Both delicious and especially good washed down with a large bottle of ice cold Tiger beer. Carolyn got chatting with the the owner, a formidable Chinese lady who runs the place with a rod of iron. She told us that the restaurant been in Jalan Alor for 42 years in a couple of locations and has now expanded to three shops side by side at the end of the street. She employs over 60 staff, I am guessing most of them family members. An amazing lady and not one you would care to get on the wrong side of! We visited many parts of the city mostly on foot and sometimes by monorail. It is not the easiest of cities to get around even by Asian standards. None of the public transport systems are joined up, the traffic is horrendous and the drivers verge on the homicidal. For all that, it is a tremendously vibrant and exciting city to visit. One of the joys of contributing to various travel websites is that occasionally we get to meet people from all over the world. On this trip to KL we had arranged to meet Claudia and Bill, a delightful couple from Washington DC. Claudia had expressed an interest in having a drink in a bar with a view so decided to pay a visit to the renowned Sky Bar @ Traders Hotel which overlooks the Petronas Towers. We arrive at just before sunset an managed to bag window seats after a few minutes and get a terrific view of the towers as they are lit up at night. To add to the experience it is happy hour with free drinks for ladies so Bill and I relax and send the ladies to the bar. Not sure how they managed it but they return with free ice cold, beer, raspberry and vodka cocktails for Bill and I too! Afterwards we head back towards Bukit Bingtang for something to eat. We try the Lot 10 food court where, sadly, the food was not as good as we had had previously. Fortunately the giant rat we saw running across the pipes and floor did not make an appearance until after we had eaten. Tomorrow, we head off to Ipoh. Previous Post: We are off…….